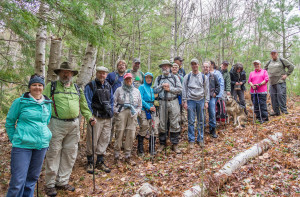 Spend a day or afternoon on a section of the North Country National Scenic Trail (NCT) in the 500,000 acre Hiawatha National Forest. The NCT meanders through the Hiawatha “playground” for 82 miles. Pack your daypack, take water, and dress for the weather and season. Stroll along an ancient sand dune ridge. Wander under whispering red pines. Rest on the banks of a gurgling brook, or trudge beside the Niagara Escarpment outcrop. Enjoy the Lake Superior waves lapping the sandy shoreline along the Whitefish National Scenic Byway. Experience the amazing four seasons on the NCT. Spring presents you with wildflowers in abundance—trillium, trout lilies, and spring beauties carpet the forest floor. A head net and insect repellent are often needed. 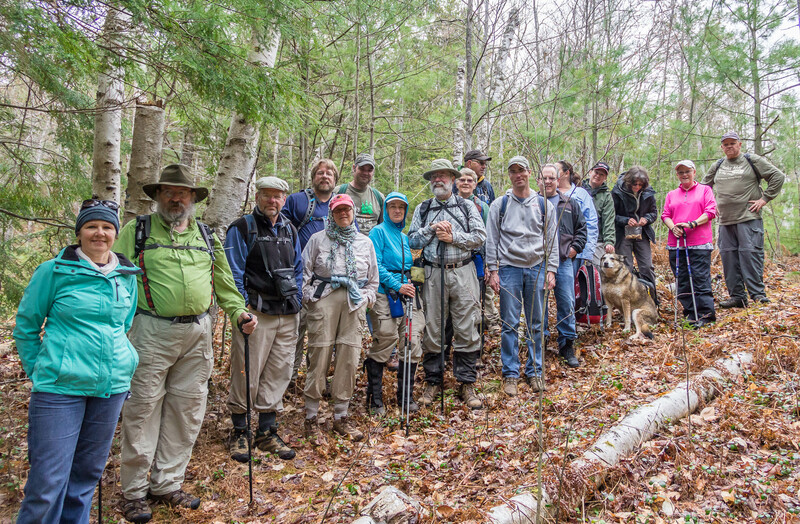 Birding is at its best, and occasionally morel mushrooms pop up along your pathway. In summer the forest is in full canopy providing shade from the sun. Blueberries provide you with a delicious snack. Autumn is glorious on the NCT! The forest is a riot of color. The falling leaves dance, swirl, and blanket the trail tread. 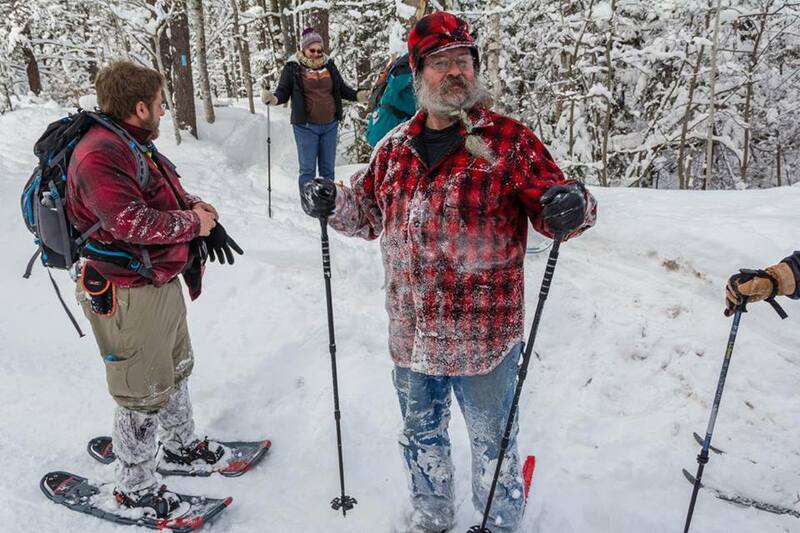 Winter invites you to bushwhack on snowshoes or skis among the snow draped evergreens. Watch for animal tracks stories told in the snow. 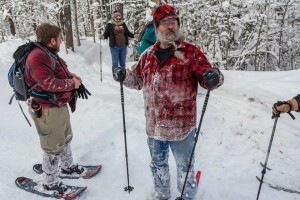 Relax in the great North Country enjoying the physical and health benefits of the great outdoors! It is free! No admission charge! 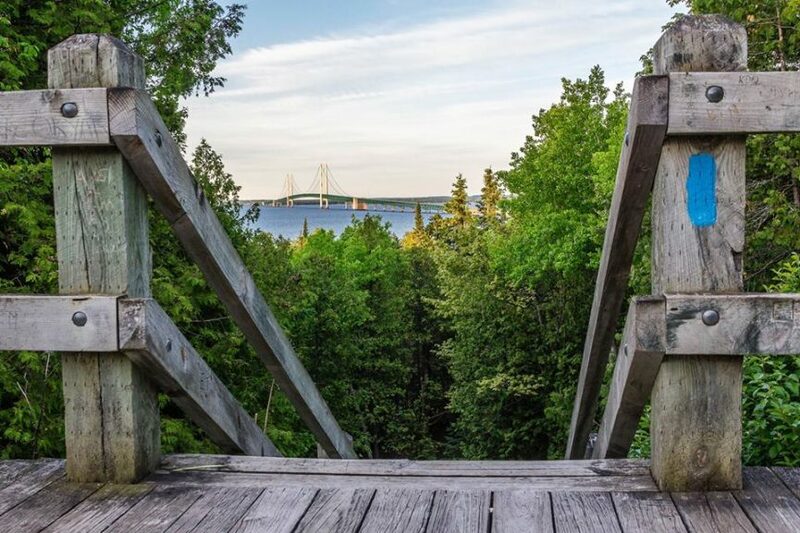 Note: The North Country Trail crosses East Lake Road in Mackinac County just a couple miles from East Lake Outfitters UP camp, which is also near the home of Stan & Kay Kujawa. The best neighbors ELO could ask for!